In ConTeXt, it seems that \startalign and \startcases are not compatible. 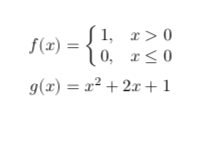 If so, what should I do when I want to align an equation containing a case-statement and a following equation? Not the answer you're looking for? Browse other questions tagged context cases alignment or ask your own question. Which symbols need to be escaped in ConTeXt?